Holistic good health is an asset of everyone! The health corner of JUET is equipped with three well equipped Gyms mainly comprise with heavy weight and light equipments. 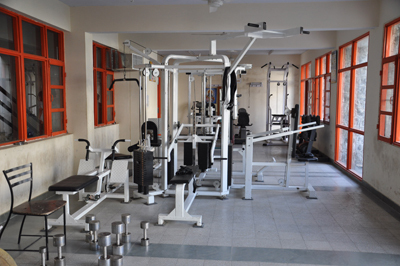 Gyms are endowed with home gym, eight station Gym, all types of benches, power stepper, magnetic jogger, weight lifting kits, cable cross, twister, dumbles, exercise bike, absleemer, floor type weighing scale, etc. All the gymnasium related activities are being supervised by a full time sports instructor who is MPEd.